Thank you for signing the Guest Book for Linda Kalva. Chicago Sun-Times and Wolniak Funeral Home thank you for signing this Guest Book. For additional details on the funeral home (directions, service arrangements, pre-planning), click here. This Guest Book will remain online permanently courtesy of Chicago Sun-Times. Please take a moment to sign the Guest Book for Linda Kalva. In this time of grief, you are in my thoughts and prayers. I pray that in this difficult time, the love of God shelters you and mends the pain as you move forward. I was deeply saddened to hear of Linda's passing, she was one "terrific" lady with a great sense of humor. I will always treasure our days at Bank of Chicago. My deepest condolences to you and your entire family. May her memory be eternal. The 'spice for life' that Linda added each day and in every way will always be remembered as will her caring ways. My deepest sympathy to you all. I didn't know Linda well, but her amazing daughter Kristen is family. Linda must have been a very special person to have raised a daughter like Kristen. It is hard to find the right words. I hope you all eventually find some comfort and peace, and live a life she would be proud of. 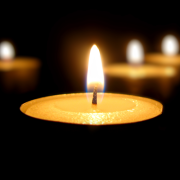 Send me a daily email when updates are made to the obituary or Condolence page for Linda Kalva.